St. Clare's Christian Preschool – Our philosophy at St. Clare’s is to prepare the children for Kindergarten by helping them develop social and emotional skills (taking turns, transitioning from one activity to another, playing with friends, developing language etc), confidence and independence. We also prepare academically for Kindergarten, particularly in our 4 – 5 year old classes, which is when we consider the children are ready, developmentally. We introduce a writing program (Handwriting Without Tears, about 10 minutes a day), a pre-reading program (Zoophonics), and a more formal social and emotional curriculum (Second Step). Even in the 4 – 5 year old classes we leave plenty of time for free play, both inside and outside class, so children can continue to develop their play skills and creativity before they settle into the more academic culture of elementary school and beyond. 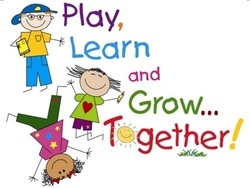 Opportunities are provided daily to develop large and fine motor skills, music awareness and artistic expression, and math and science activities in a developmentally appropriate atmosphere. Our program also includes a spiritual element. We welcome children of all faith to St. Clare’s so we keep a light touch on this part of our program. We talk to the children about God loving us all, about prayer for those we love, we tell some simple bible stories and sing a song and do a dance. This all takes place on Wednesday morning (for about 20 minutes) in our Church which is right alongside the Preschool. We take the children into the Church because we want them to learn that we behave differently in a holy place, than we do in class or on the playground. St. Clare’s Christian Preschool has been serving the community since 1989. Check out our Yelp reviews.